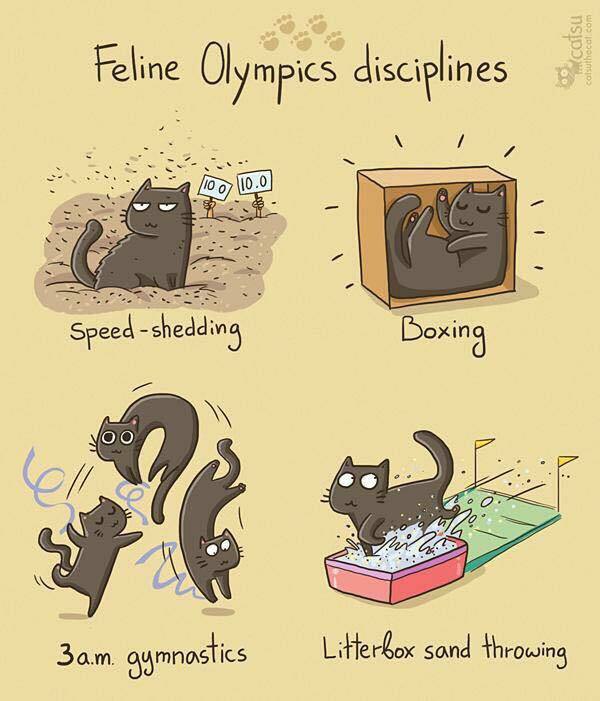 I know my cats would excel in all these events! 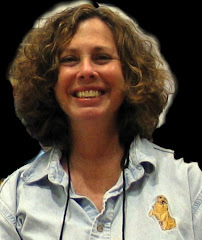 Thx, Jayna Monroe, for sharing! 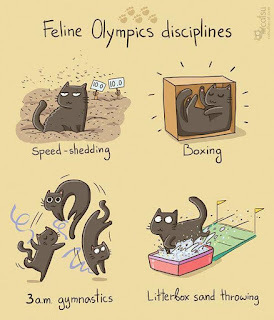 Litterbox sand tossing is a gold medal event in this house!